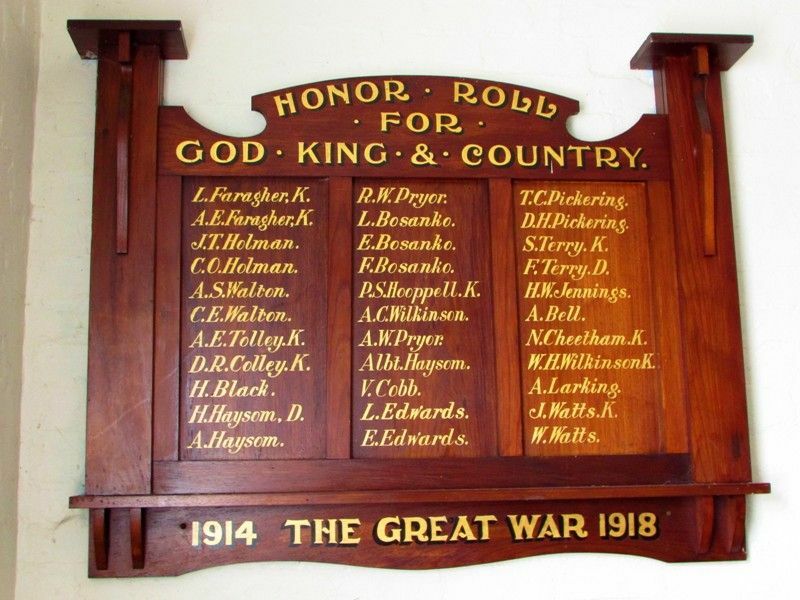 The Drouin Methodist Church Honour Roll commemorates those from the church who served in World War One. There was a large gathering present at the Drouin Methodist Church on Wednesday evening (16th inst.) when a roll of honour was unveiled containing the names of those who had attended the church prior to enlistment. The Reverend F. Mason of the South Melbourne Mission performed the unveiling ceremony. Gippsland Independent, Buln Buln, Warragul, Berwick, Poowong and Jeetho Shire Advocate (Vic.) 25 August 1916.